LGBTQ advertisements on Facebook are being flagged and delisted under its advertising policy. The policy was designed to halt political advertisements, but the dozens of ads uncovered by the Washington Post were not political in nature. One, for example, was a musical parody event featuring ribald fairy tales. Indeed, the only common thread between advertisements was their LGBTQ content. The move to restrict political and other ads on Facebook was part of a response by the company to revelations that Russia used the service to sway the 2016 elections. The tense political climate sown by anti-LGBTQ forces has made it difficult for the social media giant to maintain a veneer of neutrality and the company has repeatedly spoken out in favor of LGBTQ equality. Still, Facebook keeps running into bumps when it comes to practicing what they preach. In one specific instance, a page dedicated to the history of the Stonewall Inn operated by Thomas Garguilo saw several advertisements delisted. When Garguilo went to Facebook to find out why, he was told that “LGBT content” was related solely to civil rights, and therefore considered political in nature and that he would need to be authorized to run such ads. 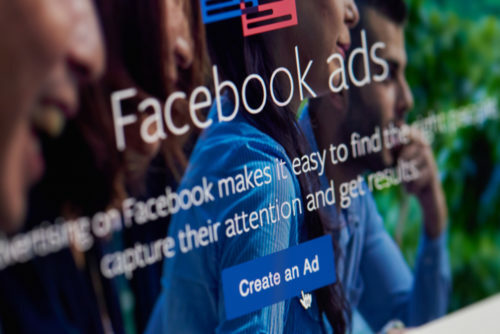 Facebook’s advertising system features some human moderation but mostly relies on computer algorithms to determine the nature of the advertisement. Those who are providing political advertisements are required to register as political entities, but many who are on the system are not aware of this requirement. For many, too, registering as such would not reflect their organization or their advertisements, since not everything LGBTQ-focused in inherently political in nature. “We do not consider all ads mentioning ‘LGBT’ as political content under our political content policy, but rather only those ads that advocate for various policies or political positions under these specific issues of national importance,” said a spokesperson for Facebook to LGBTQNation. The company’s missteps on their advertising policies have infuriated some. The chief executive of the LGBT Network, David Kilmnick, has seen 15 separate advertisements for their Long Island-based nonprofit get rejected since the spring of this year. The advertisements included ones for a beach concert, a pride night at New York Mets game, and even an ad for the Long Island Pride Parade. The filtering mistakes are not limited to LGBTQ content: filters also targeted a “Taco Tuesday” event at a Florida restaurant as well as posts focusing on the diary of Anne Frank.